Each season key garments appear online and in store and once you spot one, you start to see them everywhere. I love how every year even the basic styles get an update and sometimes these updates are as simple as a fabric type or a change in neck line. 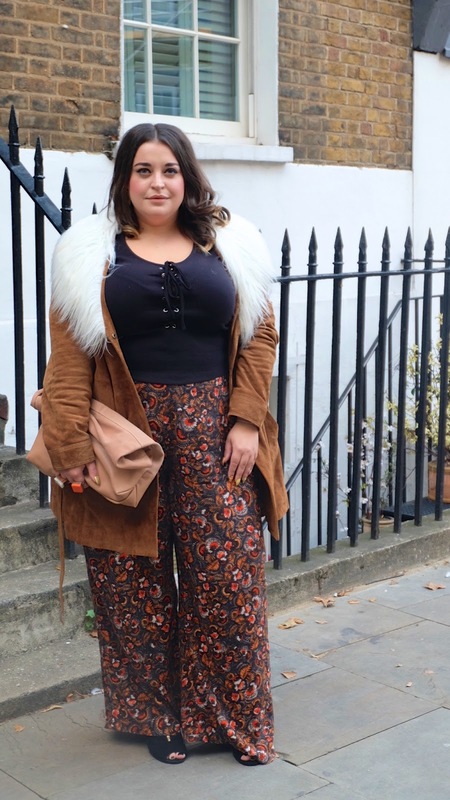 This Autumn/Winter three neckline trends that I have spotted are 70s scarf/neck tie tops and dresses, Victoriana high neck shirts and maxi dresses and lace up tops and dresses. 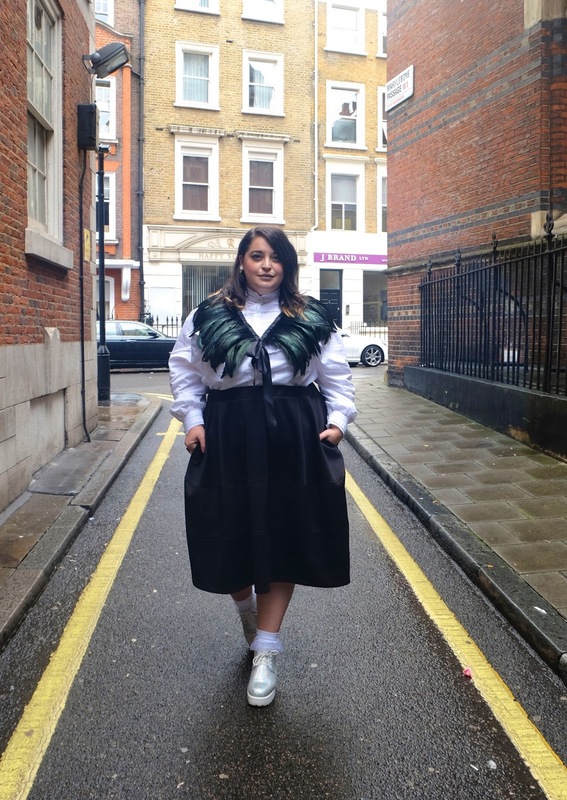 I've trawled the internet for plus size options so you don't have to; so grab a cuppa and take a peek at these fab on trend pieces. Simply click on the item you like and it'll take you directly to the correct shop. Let me know which style is your favourite in the comments below! 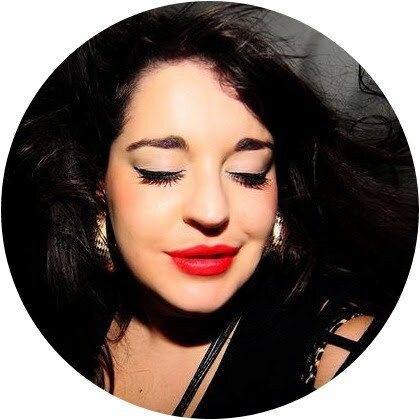 You might remember from last season how excited I was to attend a show at London Fashion Week. 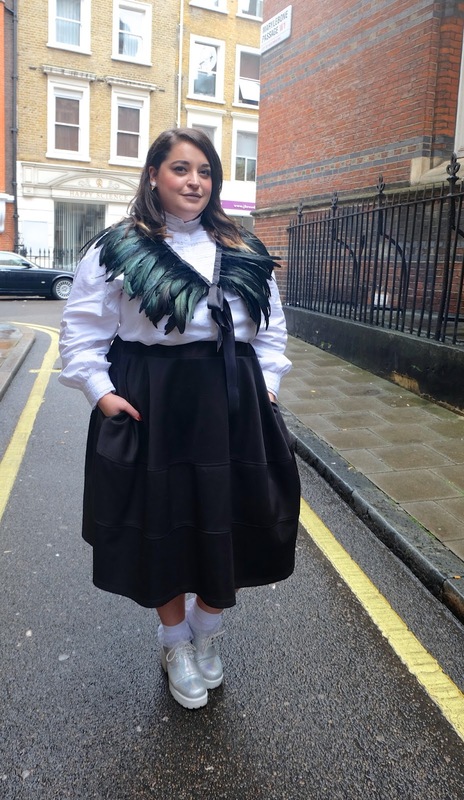 I broke my LFW virginity and was so chuffed that I got to experience a snippet of the fun fuelled fashion week for the very first time. This season, I can't tell you how amazing I felt when I saw invites falling onto my door mat. Invites spanning the entire 5 day event and they wanted little old me to see their collections! 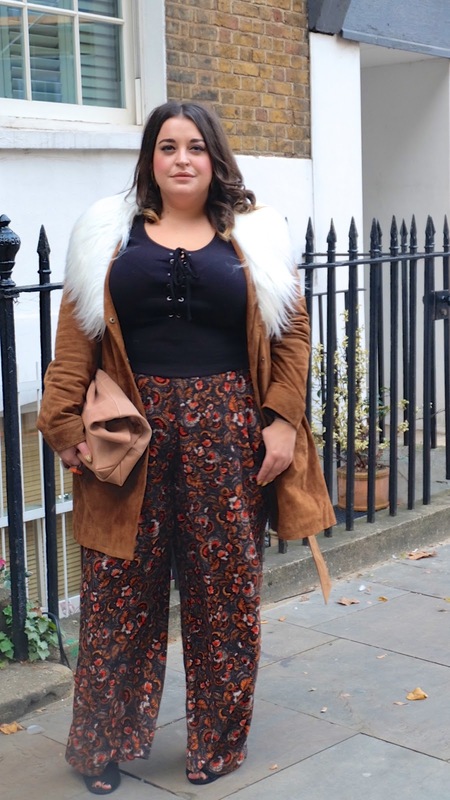 For the first day of LFW I teamed up with George at Asda and decided to take to the streets of Soho and central London to do a bit of street style spotting. Sadly the heavens opened for most of Friday morning which made it very hard to stop people for a picture but I was lucky enough to snap some beauties in the afternoon and here are my top 5 looks and be sure to take a peek at the 'Everyday Catwalk' section on George's website for some more outfit inspiration. 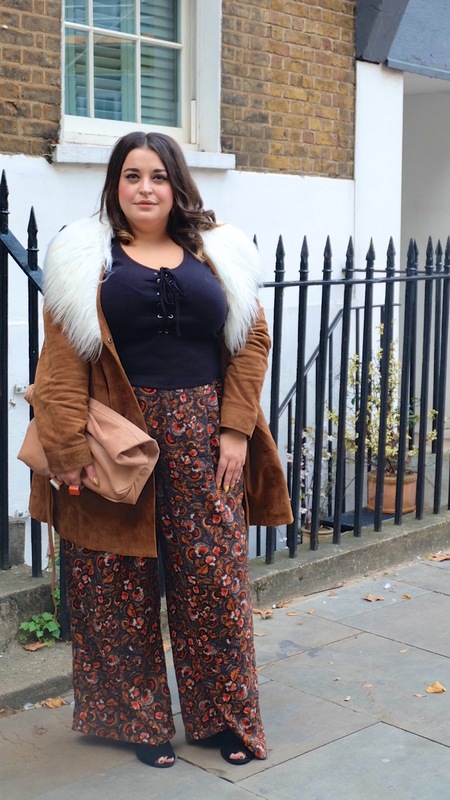 Look 1: I love these Autumn/ Winter pastels and Arian's colour blocking is on point! Layer up this season for a cool and practical look and don't forget to accessorise with a big statement necklace. You can get this look by pairing this embellished top with these culottes. 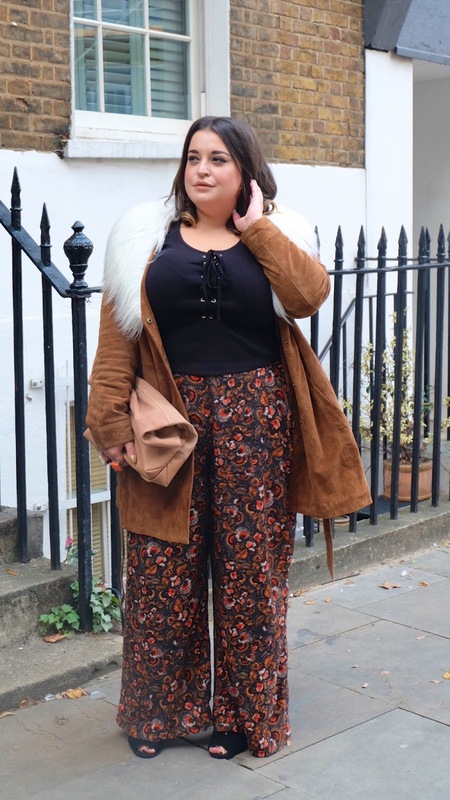 Look 2: You all know I'm a fan of a roll neck and I absolutely love this next look. The roll neck underneath that beautiful cape and that dogtooth print are such a great combo. Get this look by wearing this roll neck with this cute dogtooth skirt. Don't forget thick tights and killer boots. 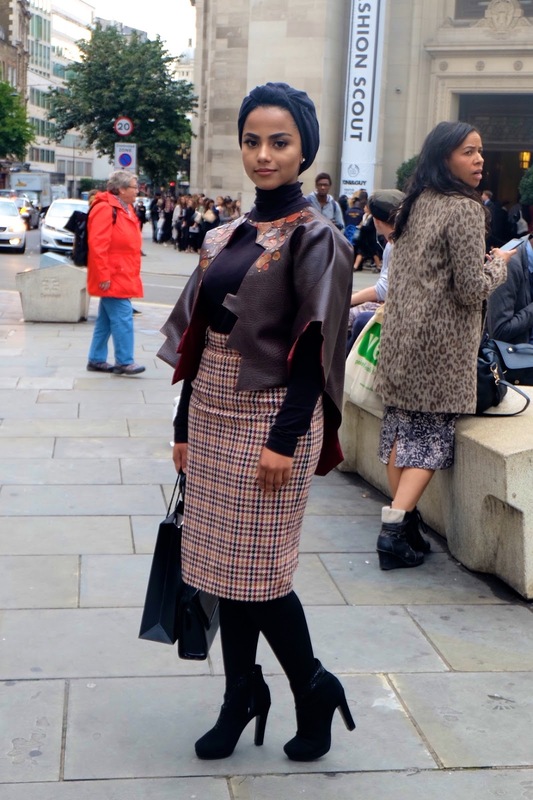 Look 3: Payzee Malika always looks incredible at LFW and this season was no exception. I love her two piece which she designed and created and I love the super cool edge she gives to every outfit she wears. 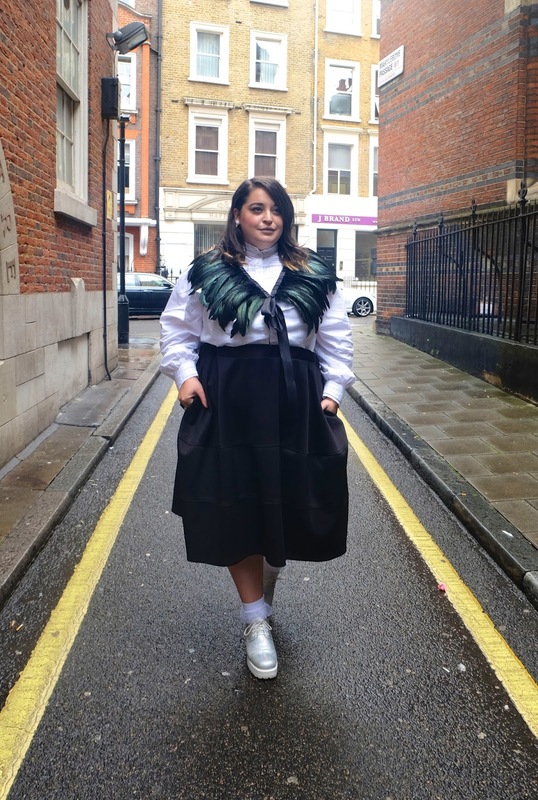 Wear flat shoes and over size sunglasses at LFW if you want to look cool yet be comfortable! Look 4: Grey, navy and mustard is one of my favourite colour combinations and I look how slick this look is. 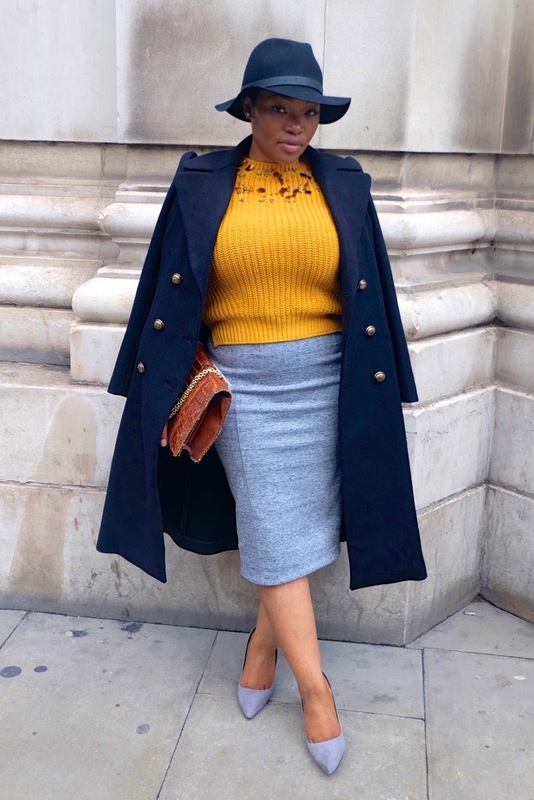 Wear an embellished knit or mustard T-Shirt paired with a classic pencil skirt and finish the look off with a gorgeous coat, some simple heels and don't forget a hat! Look 5: All white with a printed jacket is a sure fire way of getting you noticed. I love this co-ord and you can get the look by wearing a white dress and throwing this cute striped jacket over your shoulders. 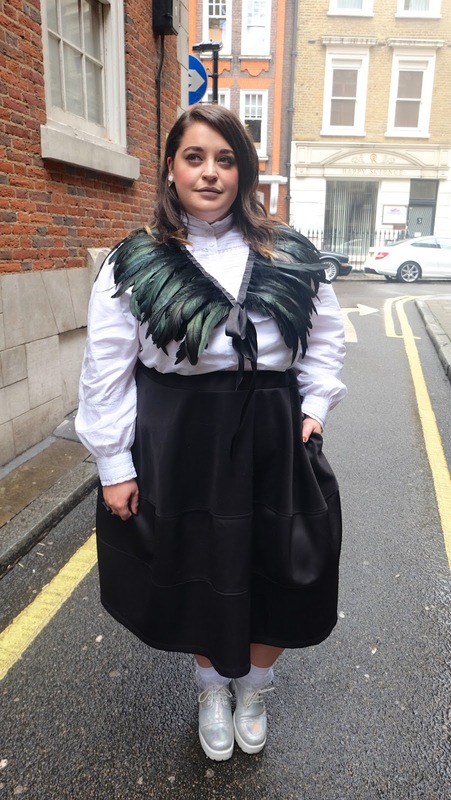 Look out for tomorrow's post where I'll show you what I decided to wear for the first day of London Fashion Week.